Größe der PNG-Vorschau dieser SVG-Datei: 500 × 500 Pixel. 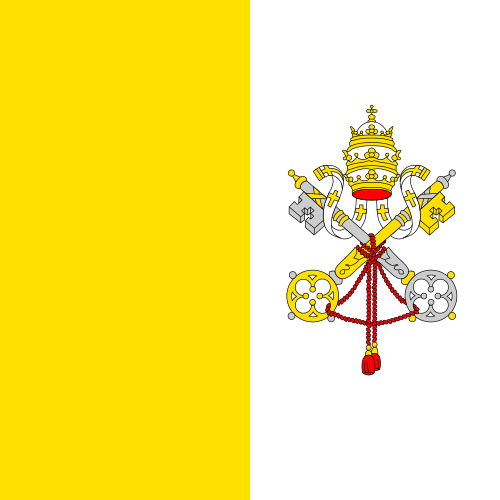 Weitere Auflösung: 240 × 240 Pixel. aktuell 18:53, 11. Jul. 2017 500 × 500 (53 KB) WikiDan61 Color correction. 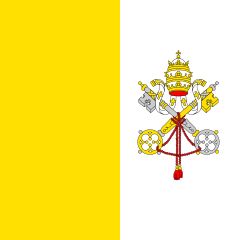 All images of actual Vatican City flags show the "gold" in the keys and tiara rendered in the same hue as the gold/yellow band of the flag, as well as a red opening at the bottom of the tiara.